The framework of a regulatory sandbox should allow for informal dialogue with regulators at the idea or initial concept and early design stages, and controlled experiments with real-time regulatory input and feedback at the development and testing stages. Q: Why do fintechs need regulation? A: Many of the activities of fintechs already are subject to regulation under existing federal and state consumer protection, payments, securities, and commodities laws and regulations. The question is whether existing licensing, chartering, and substantive regulatory requirements are sufficient. The development of new and innovative consumer-facing financial technology, products, and services would benefit from safeguards that ensure consumers are protected and not exploited. Fintech innovators, regulators, and consumers all would benefit from testing in a regulatory sandbox, which is a framework that allows a fintech, bank, or other financial services firm to conduct live experiments in a controlled environment under a regulator’s supervision. Q: How does the United States currently approach fintech regulation? A: In July 2018, the U.S. Treasury Department endorsed the regulatory sandbox concept and called for greater coordination among the host of federal, state, and international regulatory agencies with jurisdiction over fintechs, financial services innovators, and/or the markets in which they operate. Treasury also endorsed the Office of the Comptroller of the Currency’s (OCC) special purpose national bank charter for fintechs, which was part of the OCC’s 2016 “Responsible Innovation Framework.” Although not all of Treasury’s recommendations are universally endorsed, its report has sparked a much-needed conversation on how best to move forward. States are also leading the charge for change, as evidenced by Arizona becoming the first state in the United States to adopt a regulatory sandbox statute. In contrast, many European and Asian regulators have formed the Global Financial Innovation Network (GFIN), which is taking steps to hammer together a global regulatory sandbox concept that will align the various and incredibly complex regulatory structures, mandates, and jurisdictional boundaries already in place in the members’ countries. Q: How do regulatory sandboxes operate? A: The framework of a regulatory sandbox should allow for informal dialogue with regulators at the idea or initial concept and early design stages, and controlled experiments with real-time regulatory input and feedback at the development and testing stages. Transparency is critical, as the research and findings need to be readily available to other regulators, fintechs, financial services innovators, and the public. Q: What four elements should be instituted in regulatory sandboxes? Involve the smallest statistically valid number of consumers. Possess the appropriate controls, disclosures, and a funded escrow or commitment to make restitution in order to mitigate any possible financial harm to members of the control group. Include a “kill switch” to terminate any clinical trial or experiment, if deemed necessary. Q: How can regulators and fintechs work together to maximize the efficiency of sandboxes? A: During the sandbox phase, regulators across all agencies should provide constructive feedback and offer advice to ensure that the innovation succeeds. By collaborating and sharing past experiences and expertise, agencies can learn from each other and build upon their successes. An example of how agencies can work together with fintechs in a regulatory sandbox is the OCC and its special purpose national bank charter. The OCC can design the appropriate consumer trials in tandem with the Federal Reserve and Consumer Financial Protection Bureau. 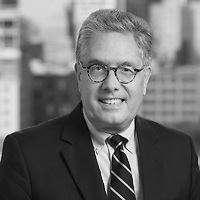 Thomas J. Curry is a partner in Nutter’s Corporate and Transactions Department and a co-leader of the Banking and Financial Services group. Previously, he served as the U.S. Comptroller of the Currency until May 2017. 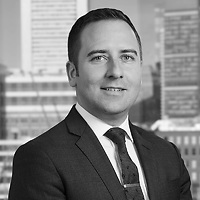 Jason J. Cabral is a partner in Nutter’s Corporate and Transactions Department and a member of the firm’s Banking and Financial Services group. Jay's practice focuses on providing corporate and regulatory advice to U.S. and non-U.S. financial institutions regarding the application of federal and state banking laws and regulations to their investments, activities and mergers and acquisitions.